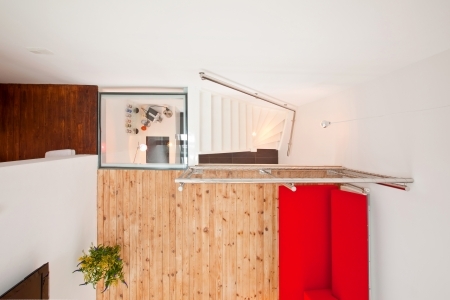 This site was created by a selected group of private owners of short stay apartments in The Hague. This ensures that you will always have direct and personal contact with the owner. There is no commission and you will always have the best price. 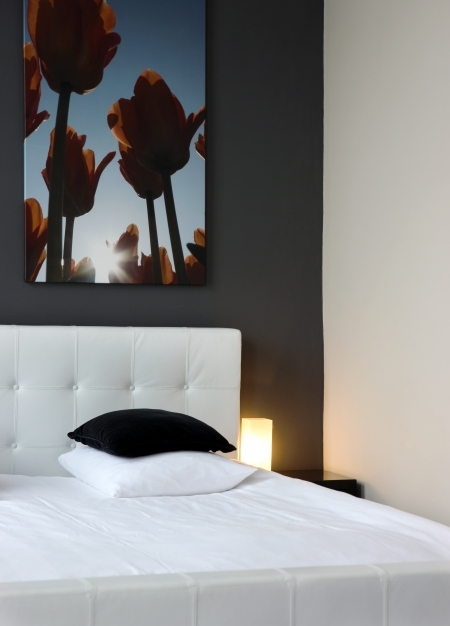 All short stay apartments are furnished by the owners personally, making them feel authentic and human. 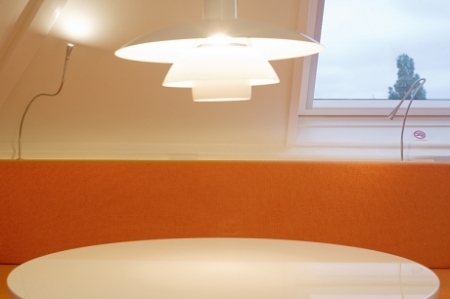 We do not allow the big commercial companies on our site, to ensure that you are staying in an environment that is personal, real human and furnishings from a personal taste. 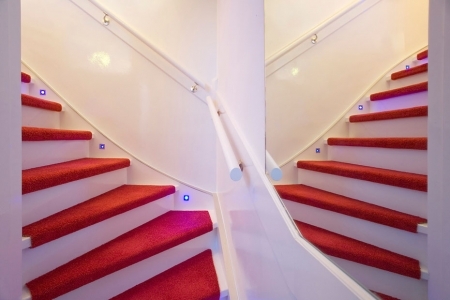 Bed and Breakfast The Hague "Art Déco"
Art Deco Bed & Breakfast is located just off the center of The Hague and has excellent public transport directly to the CENTRE of the city to the quiet beach or lively Scheveningen and both trains stations. The B&B offers 3 bedrooms with room for 3 adults or 2 adults and 2 children and is located on the first floor of a large mansion. 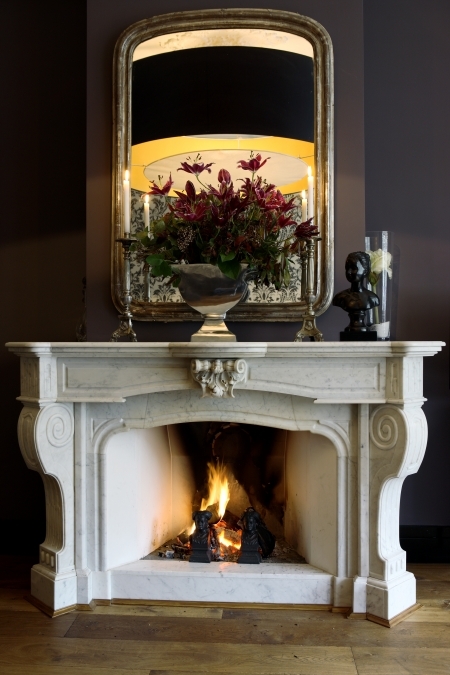 Our art deco house has many well-preserved original features including decorated staircases, ceilings, marble fireplaces and stained glass windows. Our B & B is specialized in architecture walks to art deco buildings in The Hague and cultural heritage that otherwise disposed of. Walks can also be done by bike. Parking, Wifi, 2 city bikes and public transport cards to The Hague are present. 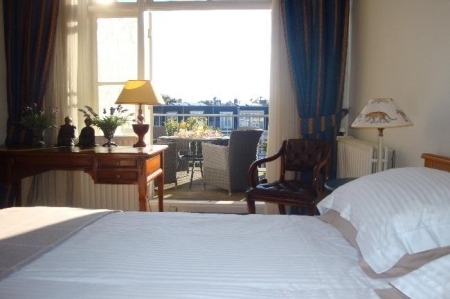 Short Stay The Hague "Residenz"
Residenz City Lodge is located on the stately Sweelinckplein, between the center of The Hague and Scheveningen beach. 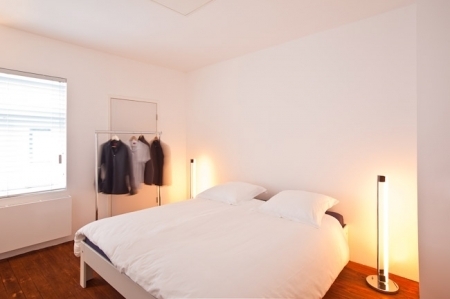 Residenz combines the luxury of a hotel with the charm of a bed and breakfast. 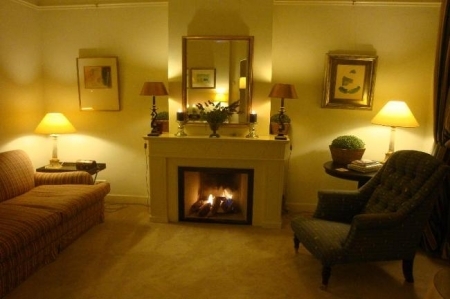 In two historic buildings we have four suites and two apartments. 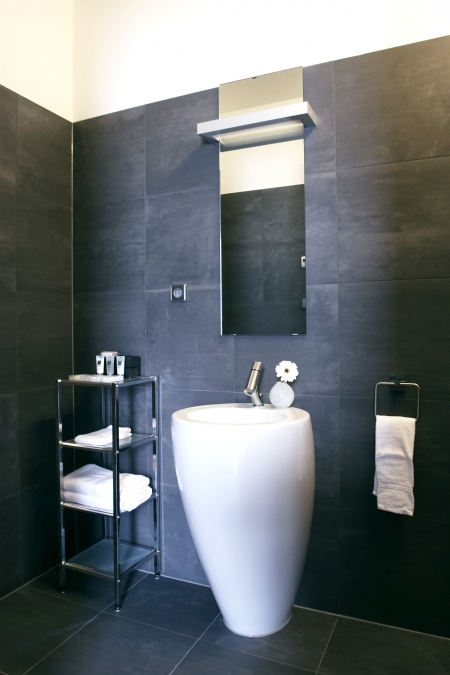 The suites are 30-40 m2, have a bathroom with bath or shower, Nespresso machine and kettle. 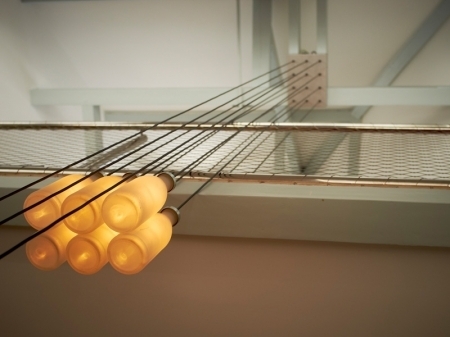 You’ll sleep on an Auping boxspring. The apartments are 85m2-90m2. 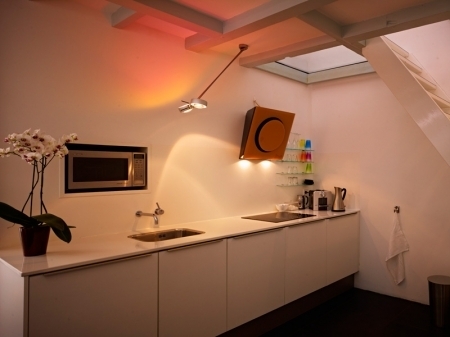 Each apartment has a fully equipped kitchen, a dining-/living room and a bedroom. 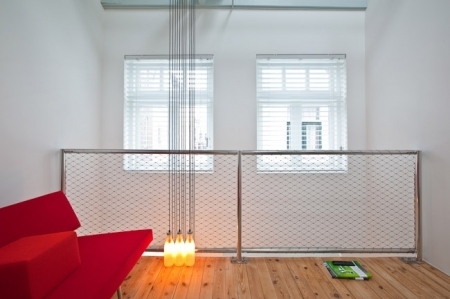 This makes the apartments perfect for your short-stay in The Hague. 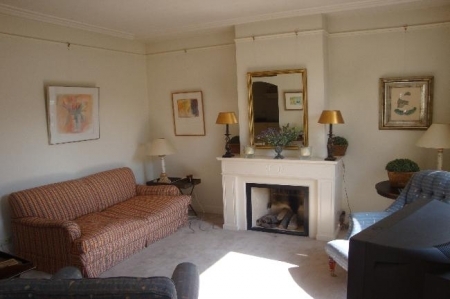 Both the apartments and three suites have an open (gas) fireplace, WiFi is free. 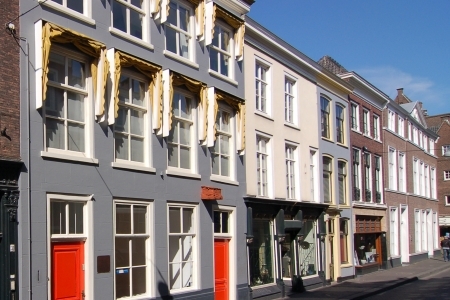 The ‘Gemeente museum of The Hague, the charming Reinkenstraat, Frederk Hendriklaan and several embassies are within walking distance. 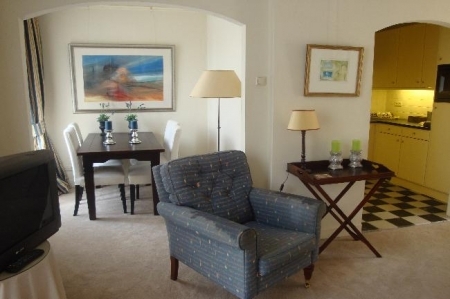 In this spacious and specially designed short stay apartment you will feel comfortable and quiet. 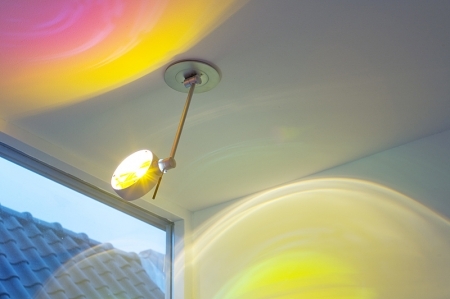 Who loves space, light and sense of style will certainly feel at home. 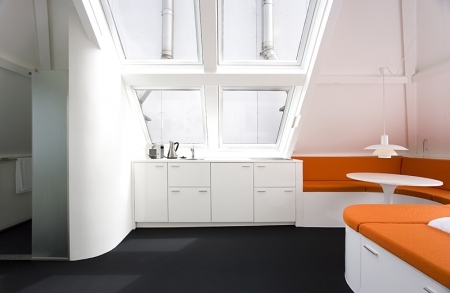 Skylights over the full length of the roof gives the idea or you live in the air. 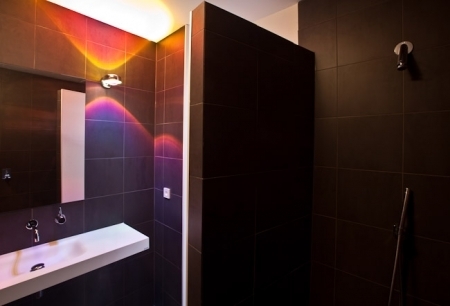 This trendy, modern and spacious accommodation has everything to ensure a pleasant stay. The apartment has a private entrance, intercom system, kitchen, shower and separate toilet, lounge/work area and a large bed 180x200. Free private parking and Wi-Fi. 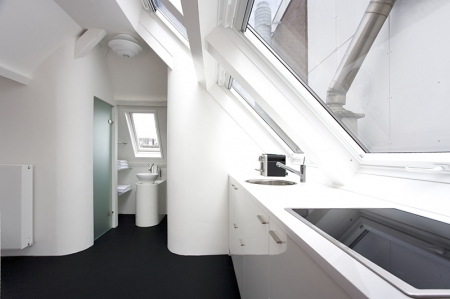 This temporary accommodation can be found in the trendy students and artists neighborhood of The Hague. 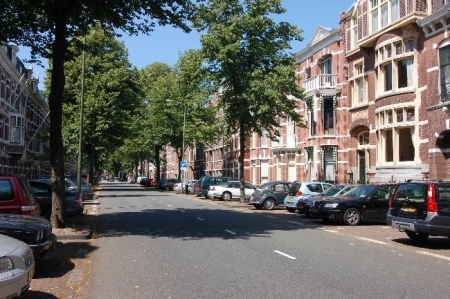 You live within walking distance from both railway stations and direct connections to all international companies.Shops, restaurants, museums, parliament and Dutch dance theater are located in this neighborhood. 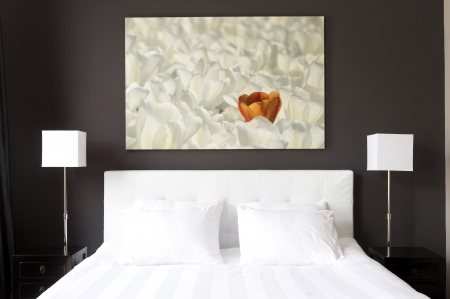 We are willing to show you around our beautiful neighborhood so you really feel at home during your stay. 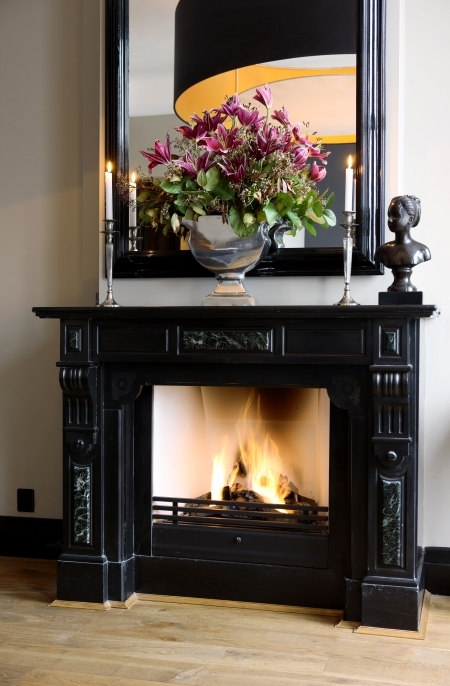 Bed & Breakfast The Hague "Feel@Home"
B&B feel@home is a bed and breakfast situated in a historic house from 1885, nearby Huijgenspark and within a 5 minutes walk of the The Hague city center. 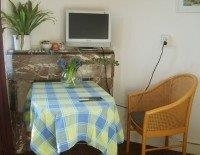 It is a B&B with two spacious apartments, each with own bathroom, TV, WiFi, Nespresso. The beds are, with a size of 2.20mtrs, extra tall. Breakfast is served by the host. 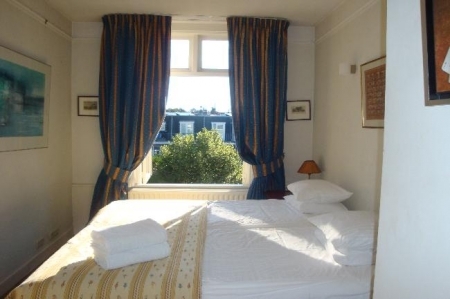 The B&B is a few minutes walk away from The Hague Hollands Spoor railway station with is public transport that brings you amongst others to the beaches of Scheveningen and Kijkduin. You can also hire your bike there. The shopping streets, musea, theatres, cinema’s and royal palaces you will find within a 5 to 10 minutes walk from the Bed and breakfast. 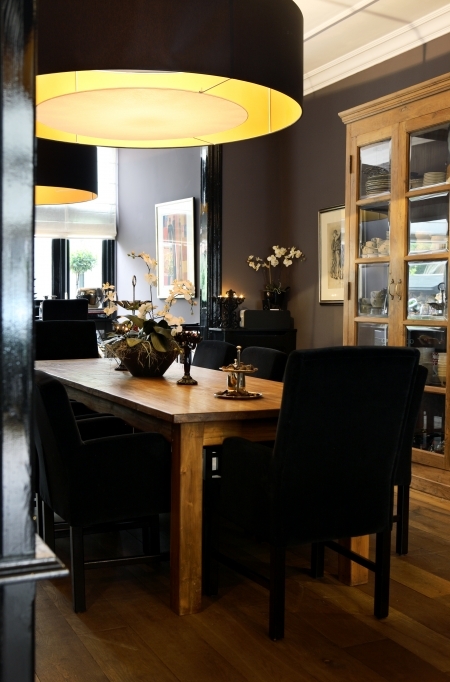 Modern,trendy and quiet ground floor apartment in the city centre of The Hague. Feel yourself free in this spacious and trendy two floor apartment, with its own private parking and within walking distance from both railway stations. Directe connection to Shiphol Airport ( 600 meter walk) and Scheveningen beach (10 minutes by tram). 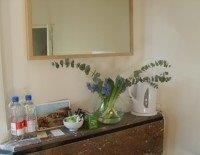 A wonderful Short Stay accommodation for a weekend or longer stays with all the comforts you need. This spacious temporary accommodation features: Own entrance, terrace, Floor-heating, kitchen with all necessary equipment, lounge TV?DVD-Wi-FI, 50 movies, bedroom for 2 persons, separate toilet and spacious bathroom, This apartment is located near museum the Mauritshuis , Scheveningen, the famous Dutch Dance Theatre, Royal Palace, restaurants and many shops. Supermarket and bakery 3 minutes away. 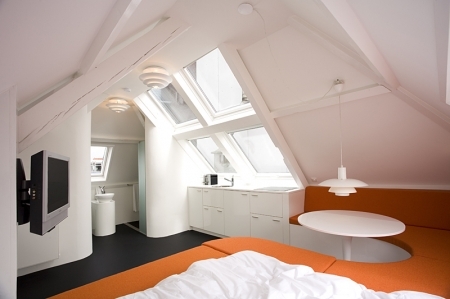 Short Stay " Loft Westeinde"
Top floor of monumental building in downtown The Hague. 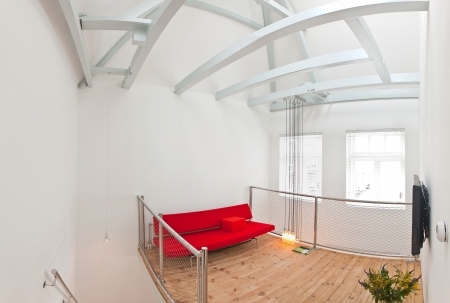 Spacious short stay Loft, cosy, light and charmingly decorated. Well-equiped for short or longer stays, for holiday or business, to accommodate 3 or more people. 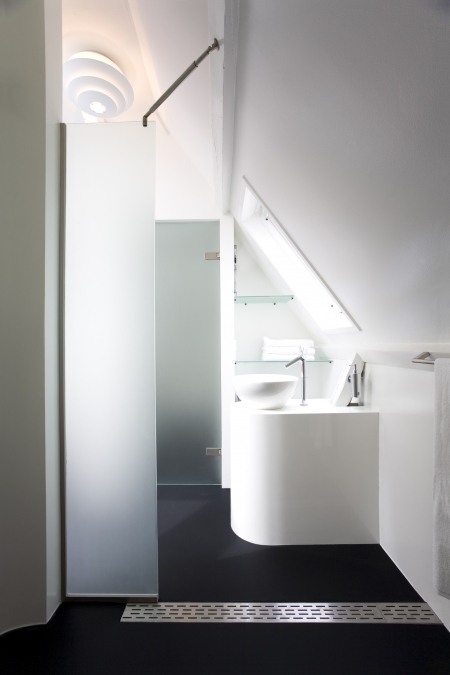 Loft Westeinde contains a large living area with built-in kitchenette ensuite with a big bedroom and bathroom with bath/shower, washing machine and dryer. 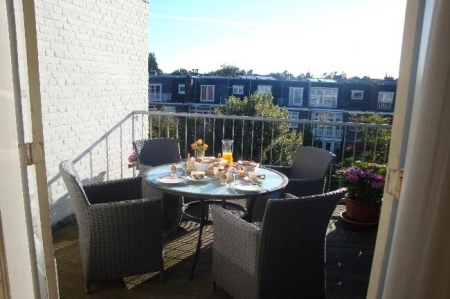 It has its own entrance, nearby parking place, secured bicycle storage, free Internet/WIFI and large roof terrace for use in summer with fabulous views over The Hague. 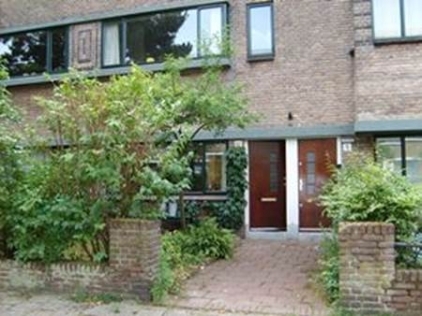 Walking distance to shops (bakery and Albert Heijn are around the corner), restaurants, public transport and museums. Guests feel at home at Loft Westeinde! 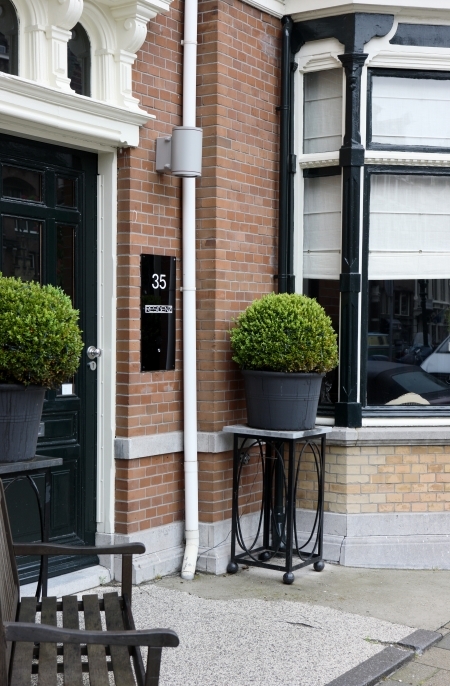 Bed & Breakfast The Hague "The Small Courtyard"
B&B Het kleine Binnenhof The Hague (B&B The Small Courtyard) is a short stay apartment with its own bathroom and kitchen where you can enjoy your own meal without having to sit at table in a communal dining-room. Guests are given full scope with a private entrance, included bicycles and a an unlimited parking licence (€ 15,-). 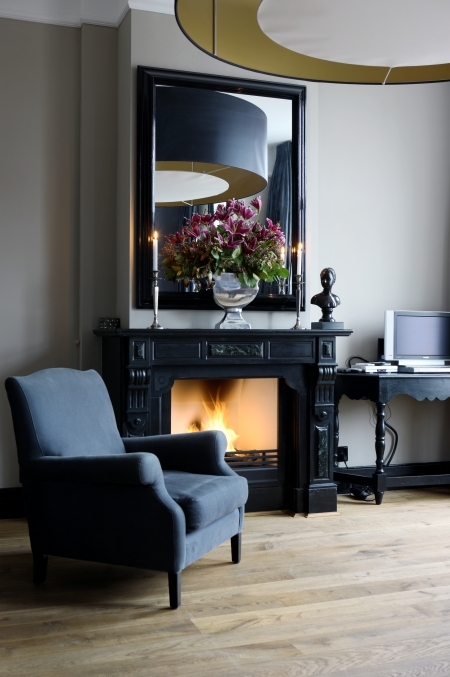 Situated at ground floor in a 19th century villa in the centre of The Hague and surrounded by luxuriant gardens, the temporary short stay accommodation combines rural charm with urban excitement . You may enjoy the exotic foraging birds in the garden as much as visiting Panorama Mesdag or the Parliament Buildings at short distance. Ride your bike to the beach and harbours in Scheveningen beach or along the many sights like the Peace Palace, the Kurhaus and Madurodam. Bed and Breakfast The Hague "Van Nassau"
Bed and Breakfast B&B Van Nassau in The Hague, is really special. Not only because it is cozily decorated and has all the necessary amenities for a pleasant stay including a fireplace for colder evenings and terraces for breakfast in summertime, but also because of the quiet and friendly location. Either walk to the city centre shops, museums, bars and restaurants or take a tram or bike to the beach in Scheveningen. The last offers a lovely beachlife with comfortable lounging terraces, beachrestaurants, and pleasant pianobars and not to forget the Circustheater, where all kind of famous musicals are playing. Our B&B is an excellent starting point for hiking/biking trips and also very suitable for business people and short stay. Are you our next happy guest? 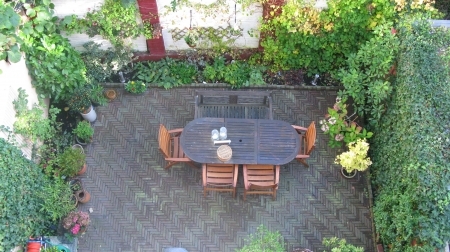 Bed and Breakfast The Hague "Achter de Duinen"
Lowbudget Bedandbreakfast in beautiful, quiet, green neighbourhood. 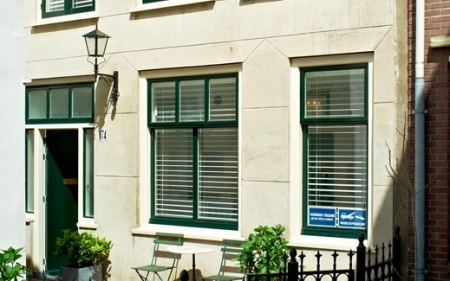 Our Bedandbreakfast is situated on the border Den Haag-Scheveningen, next to dune area Meyendel. Ideal place for bikers (LF 1) and walkers (LAW5)! Near A12 and N144. 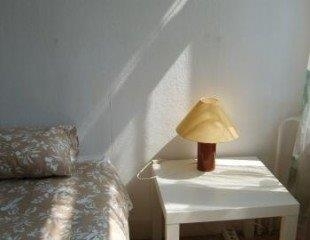 2nd floor : smaller room with 2 single beds. 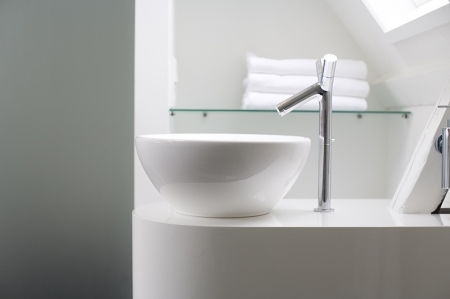 Modern bathroom with washbasin, shower and toilet. Both rooms have tv, Wifi and a watercooker. Fridge and microwave for common use. We serve a delicious breakfast in your room. Busstop around the corner. By bus to Station Centraal, citycentre or Scheveningen-sea in 10 minutes. Madurodam nearby. Shell Headquarters and Nato/TNO within walking distance. 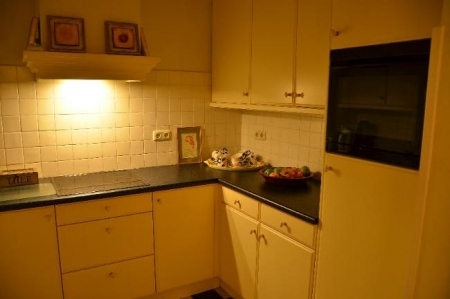 Short Stay Apartment The Hague "7nextto5"
This convenient, quiet ground floor short stay apartment has all you will need for a comfortable long or short stay in historic The Hague. This international city of law and peace is one of the most international city’s in the country. 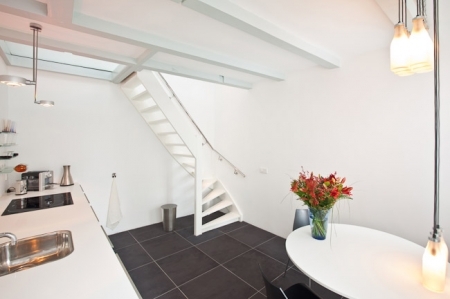 The international railway stations Holland Spoor and Central Station are at a 10 minutes walk from the apartment. Amsterdam: 45 minutes. Rotterdam: 20 minutes. Shops, restaurants and city-centre in a 5 minutes walk! Public transport is around the corner. Scheveningen of Delft: 15 minutes. 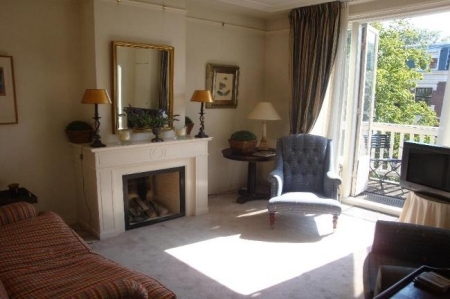 The facilities of this short stay apartment are luxurious. Separated kitchen. Separated bedroom for two [single beds]. Separated toilet. Luxurious bathroom with steamshower. Living with television, music facilities, comfy seats and tables, and in the whole house WIFI for free. Non-smoking, except in the patio garden.